The goal of your Field of Study is to condense all of this down to a page or two of comprehensible research plan. In June 2017, I published an updated template for the Field of Study and Research Program Plan (for either Embassy-recommended or University-recommended application). Click the previous link for that article! The Field of Study and Research Program Plan is both the most important and most confusing form in your Monbukagakusho (MEXT) Scholarship application. By the end of this article, you’re going to know what it is, why it matters, and how to write it- from what to include to how to approach revisions and outside editing. Before you start, know that you’re going to need to spend time researching, writing, and revising this form. 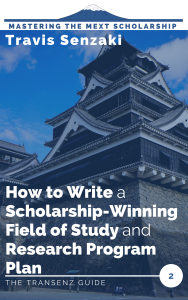 It is the single-most important tool you have at this point in your application to earn a scholarship that could be worth millions of yen. Other forms in your application will determine if you’re eligible to apply or not, but once you apply, this will decide your success. If you have Japanese language ability, write in Japanese. I said it was innocent. I didn’t say it was clear. Write in the language of the program you are applying for. If you’re applying for an English-taught degree, write in English, even if you have Japanese ability. Be consistent throughout your application. I once saw an applicant write only “Economics” on the first page. Don’t do that. Your field of study is not just the general field, this is the specific topic that you want to research for your graduation thesis. You don’t necessarily need your thesis statement at this point, but you at least need to have a specific problem in mind. We’ll get into some of the specific elements to cover farther down. There is an extra section on your application to write about your current field of study, as well. What you’re looking for here is a detailed timeline of the exact actions you’re going to take during your research. You won’t be covering your research topic so much as the practical process. Take your hint from the form. You get one page for each section. Yes, you can attach extra sheets, but do so with caution. You want to be concise and to the point. I would recommend adding no more than 1 sheet to each section. You could go more if your field of study absolutely requires graphs or images, but the rule of thumb is use the minimum length required to get your message across. If you look at the whole set of application materials, this is the only form that you have control over at this time. Your grades and GPA are set. Your thesis all-but done. The contents of your letter of recommendation aren’t really significant (more on that in another article). When universities get in all their applications, the first thing they are going to do is rank applicants by field according to their GPA. After that, your Field of Study and Research Program Plan is your best way to move up that ranking. Like it or not, the Monbukagakusho Scholarship is a zero-sum game. If you want the scholarship, you have to beat out everyone else that wants it. 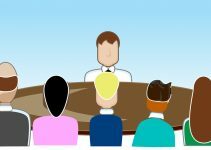 So, you need to be as high on the applicant ranking as you can before the interviews start. The FAQ also says that your research plan should be something that you would feel comfortable submitting as a research proposal to a graduate school in [your home country]. This is a huge hint! You may not have experience in submitting a research proposal, but I guarantee your academic advisor does. You can and absolutely should get advise from academic professionals! I put this in quotes above because it is a stereotypical example of Japanese vague instructions. What you need to take away here is that you don’t need to tell us everything about your field, just enough for your intended advisor to understand what problem you want to research as well as how you want to approach it. By the way, if you’re reading these articles out of order, go back to the Choosing Your University article. I talk there about narrowing down your search to a specific professor at a specific university. As you write your Field of Study, remember you are writing to this professor. When you give a “specific amount” of your research topic, you should know where your target professor sits in the field of research and pitch your research relative to the professor. You will go into the practical methodology on page two. 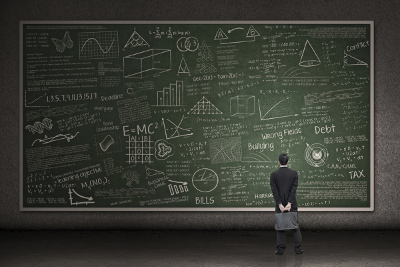 For here, it should suffice to explain what approach you will take to the topic: quantitative analysis, experimentation, historical analysis, comparison, field studies, etc. Note that the intent to conduct field studies outside of Japan can be a disqualifying factor. I once made the mistake of applying for a research grant for a research topic I thought was interesting without checking the literature to learn that it had been done a dozen times before. Don’t do that. As I mentioned in the Eligibility Criteria article, your Field of Study needs to be the same field that you majored in in your previous degree, or a related field. So, at this point, you should have a good grasp of the state of the field. It wouldn’t hurt to check with your current advisor, either. Know where your target professor sits in the field, as well. You should know the professor’s current research interests and make sure you position your research relative to that professor. One question I see from a lot of applicants is: how technical should I make my proposal? Are non-specialists going to read it? Yes, non-specialists will read your proposal. Both faculty members from other departments in your graduate school and admin staff from the university and MEXT. When you cover your research field, you can target that section at people who understand your field, but when you get to the “must be done in Japan” and the impact statement, below, you are addressing everyone outside your field as well. The best thing you can do here is to talk about practical examples of success in Japan that you want to study and apply to your home country. Flattery doesn’t hurt, either- talk about unique research advances in Japan or the state of the field in Japan as opposed to other countries. Talk about how you want to use your research to strengthen connections between Japan and your home country (this is the purpose of the Monbukagakusho scholarship, after all). Obviously, “Because I can get a scholarship” is not a good reason. Related to the previous item, you should mention the expected outcomes of your research in academic and practical terms, if at all possible. The more relevant it is to forging or strengthening relationships between your home country and Japan, the better. If you’re concerned that your description of your research topic is too technical and inaccessible for non-experts, this is another area where you can appeal to that crowd. Some universities may require that you specify your advisor by name in the Field of Study, or at least your graduate school and department. If you’re preparing your Field of Study in advance, as you should be, then make sure you check the university’s website when the guidelines are (finally) released to make sure you’re meeting all the requirements. This is not something you’re going to want to leave until the last minute. Even though it’s only two pages long, take it as seriously as you would a graduate thesis. After all, this single document is going to go a long way toward whether or not you spend the next two-to-five years getting paid to be a grad student in Japan. One guy who earned the scholarship in the past in art recommended starting 6 months in advance. That’s a great idea, especially combined with networking, if you’re reading this early enough. But if you don’t have that kind of time, you can still help yourself out by moving faster. Have your current advisor review it and give feedback. You want the perspective of a career academic and an expert in the field. Have a non-expert review it. Ask a professor in an unrelated field or an adult friend with professional working experience. Your goal here is not so much the research as it is the flow of the document and whether it makes any sense at all to a person who doesn’t know what you’re talking about. If you’re not a native English speaker, have a native speaker review it. Even if you’re confident in your English communication ability, remember, you’re not writing for a native speaker- you’re writing for Japanese speakers of English. Speaking from experience, they have a very different take on the language, so you want to make sure you have nothing in your Field of Study that could be misinterpreted. Have a writing advisor review it, even if you are a native speaker. Your university might have an academic tutorial system that you can ask, or you can ask someone in your department who is known for being a hard-nosed paper grader. You want to make sure that you don’t have any writing idiosyncrasies or mistakes that you’re not aware of. Have your target advisor review it. If you’ve successfully connected with your target advisor, you obviously want that professor’s opinion. Make sure to go through the other steps first, though, so you know the document you send the professor is top quality already! You don’t want to make them think less of you. That’s brainstorming, research, two drafts on your own, as many as five reviews, and edits after each one, so don’t procrastinate. In fact, if you haven’t started yet, don’t read the rest of this blog. Go start your Field of Study now! Even if you’re reading this after the application period has already started, you do still have time. Make sure that you make this your top priority for the next month or so until it’s complete! For further, field-specific guidelines, talk to your advisor about structure or google “research plan” and your field. Louisiana Tech, in the US, has a pretty good set of research plan guidelines, but be aware that these are designed for science field graduates seeking an academic job, so they’re more thorough than you need to be. The most important thing is to avoid “paralysis by analysis.” Don’t overthink and double-question what elements you should have in your proposal. Start writing it and then seek advice. You can always add or cut later. Once you’ve finished the Field of Study, perhaps while you’re waiting for the review, you’ll want to get started on the Research Program Plan. Fortunately, this page should be relatively straightforward. In terms of length, the one page you’re given on the worksheet should be plenty for this section. I’ve seen many successful plans that were shorter than that. As with the Field of Study, this section should only be as long as it needs to be to get your point across. And your point here is to show the reviewers that you know what you’re doing. One thing a professor is going to think about it how much trouble it’s going to be to supervise your research. They want to see that you have the basics of research down so that their guidance can focus more on your content, rather than fundamentals. Your Research Program Plan should take the reviewers step-by-step through everything you intend to do on your way to your thesis or dissertation. Of course this is going to change once you get in to the research, but you want to have a framework to return to. Your research plan should cover two years for a Master’s Degree and three for a Ph.D. You should definitely check your university’s website to find their academic calendar and structure your research along the lines of their semesters (you’ll be working through any breaks as well, of course). For a little extra, check when they normally schedule their thesis submission and defense in the calendar and make sure the timeline in your Research Program Plan fits their schedule. If this information isn’t available on their website, it’s not worth going out of the way for, but if you can find it, it makes a nice additional touch. Now that you have your basic calendar down, it’s time to make a timeline of how you will approach your research. The blogger I mentioned above (who earned the scholarship) wrote his as a month-by-month table, and that is certainly a workable solution. Again, the professors reviewing your application are not native English speakers and a table is easier to read. You will, of course, want to elaborate a little on the contents of the table. Add some community involvement, too. Cultural exchange and creating connections between Japan and your home country is part of the purpose of this scholarship. If there are particular events you plan to participate in (e.g. doing school visits during a particular stage of your research), mentioning that could be helpful to your application, as well! Now that you have your content down, make sure that you present it in a way that’s easy to read and scan. Make sure it’s broken up into paragraphs with topic sentences and that the order is logical. Consider tiling your sections in bold, if possible. Remember your target audience: They are not native English speakers, they have up to dozens of applications to read through in a short amount of time, and frankly many of them are not that interested in your subject material. Your sentences should be concise and not open to grammatical confusion. Engineers, I say this with only the best intentions: Get a history or English major to review your writing. Contact the university or professor and tell them you don’t know what a research plan is. Ask your target professor to write your research plan. You should at least have a solid idea of your research topic and an outline of your Field of Study. Write an overly technical or detailed plan. You should know the details, of course, but they don’t all need to be in this document (you’ll have interviews to follow up)- just enough to let the reviewers know that you know what you’re doing. Submit a Field of Study related to military or dual-use technology. Yes, I’ve seen all of those things. We’ve covered why this form is important, the elements to include in both questions, and length and content depth guidelines. Hopefully that’s everything you need to start going. Get Feedback: There is absolutely no rule saying that you have to do this all on your own. The best ideas and research come from collaboration. Start with your advisor and his or her connections. Start Early and Revise Often: Right now, as soon as you finish reading this blog, start brainstorming and working on your outline. The more drafts you go through and the more time you have to seek outside opinions, the more polished of a product you’ll have at the end. Focus on Your Target: Your Field of Study, especially, should be designed to appeal directly to your target advisor. Connect your interest to theirs, your research to theirs. Now, go get started! Good luck! I know that his might seem like a silly question but I dont want to get anything wrong. I dont understand is this “thesis” the research proposal that i am offering to do in japan or is should be a summery of thesis that i have done in the past ( in university). The part that i dont understand is that if this summary should be of your refresher proposal isn`t that almost the same thing that you need to write in your Field of study part of the application. If you can please tell me how a thesis summary should look like in your opinion . Thank you I hope you had a good Christmas and have a happy new year. The summary of your thesis refers to the graduation thesis you wrote for your last degree, as you guessed. Basically, you would condense that thesis down to about half a page to a page, including the significance, research question, methods, hypothesis, and results. (It’s a similar approach to what you include in the Field of Study and Research Program Plan, except that you’re writing it in retrospect about a paper that you have already completed – or may still be working on, if you haven’t graduated yet). Thank you for all these very helpful instructions, but I am a bit confused as of how detailed my proposal needs to be. My current professor advised me that is it not good to be too specific in a research proposal. On the other hand, a month-by-month timeline sounds extremely specific to me. The very definition of being too specific, actually. I find this to be quite contradictory. What I did, was propose a methodology separated into 4+1 ‘stages’, that would most possibly still intertwine with each other. Trying to get more specific than that seems rather pointless, as I have no way of knowing more details before I start working on the research. Moreover, as I am applying for an embassy-recommended scholarship, the document says “present field of study”, meaning “current field of study” (“現在”). It’s not asking me to “present my field of study” but to write my “present field of study”. So, in that field I describe what I am doing for my undergraduate thesis (as I have not graduated yet). Hope I am not missing something important here. One last question: Unfortunately I did not have time to start preparing early enough to contact professors, and now I have no time of getting a letter of recommendation from my university president. I have a letter of recommendation from an assistant professor, and I’m in the process of getting one from my department’s president (still not sure if I can get it before the application deadline, though). I highly doubt there is any cooperation between my university and a Japanese one (I am from Greece). Is it very unlikely for my application to be successful if I go recommended by a simple professor? There are two parts to the Field of Study and Research Program Plan (incidentally, I discuss this document in a lot more detail in an updated article on this same subject), the field of study and the research plan. The field of study is where you write about your research question and methodology. You do not want to get so specific in that section to the point that your document is incomprehensible to someone outside of your field. It is OK to be more specific in your research plan, which is your methodology and timeline. You do not have to go to the level of month-by-month, but I would recommend that you at least estimate how long each of your stages would be and map those on a timeline. Your understanding of present field of study is correct. Cooperation agreements between your university and Japanese universities are not necessary for the Embassy Recommended MEXT scholarship application, so do not worry too much about that. Your letter of recommendation can come from your advisor, department head, or president, so you do have some flexibility there. It is certainly possible to succeed in the application without a letter from the president. Hi..what should I do if there is not any professor related to my field??? I doubt very much that there are no professors in Japan who are researching something similar to your research topic. I would suggest you keep searching – wrote a separate article about how to search for professors and universities that may help. If you can’t find an exact match, consider that the name of the field may be different and try searching for a broader topic, then reading professors’ specific research interests in more detail. Hi, thanks for writing up all this information, it has really helped me out! Right now I’m finishing up my field of study proposal for an embassy recommendation, and I wanted to ask you about the third section of the proposal, the study program part on the second page. My original plan was to make a first section about why I wanted to spend time as a kenkyuusei before taking the entrance exam, and then why the degree I am pursuing is necessary for my research, and then making the next part of the proposal about the specific methodology and experiment I plan to do within the research topic I outlined under the “research topic in Japan” section. However, you talk about creating a detailed timeline – what exactly does that entail? For example, should I create a chart on what I plan to do for every month I’m in Japan, or should I detail exactly what classes I’m going to take? I feel like that isn’t relevant because I don’t know for sure what I will be doing once I’m over in Japan. It may be too late to help in your case, but yes, I do recommend that you break down your research plans on a month-by-month basis, or at least 2 months blocks. You should at least be able to create a rough outline at this point in your application. I would only recommend mentioning specific classes if you are only applying to one university. Otherwise, mention when you will take the core required classes (this should be common to most programs), and what types of electives or further classes you want to take to support your research. Again, you should be able to get to that level of detail. Of course, this is all a rough outline and it will change once you get to Japan and meet your advisor. That’s fine. The point for now is to show that you can put together a plan. Three questions that I am really confused – I planned to apply Geidai for its PhD programme in New Media Arts, indeed I’ve been already been there last Oct for the PhD admission seminar. 2. I’ve heard from the PhD admission seminar that for Geidai’s policy, it is prohibited for applicants to contact any of the professors before the application officially accepted. Do you think there is any different for a MEXT applicants which has a different mechanism for entrance? 1. I’ve never heard of that approach before. Geidai’s website says that all instruction is in Japanese and applicants must have a working command of that language, so I would encourage you to approach them in Japanese, given your language ability level. 2. No, I think the same policy probably applies. I know several universities that (especially) do not want MEXT applicants contacting professors to ask for Letters of Acceptance. Depending on the university, that process may go entirely through administrative offices. 3. Starting with research student status for a semester isn’t a bad idea. It could be up to a year if they only accept new students into the program in one particular semester, and you have to wait for the appropriate timing, but I don’t know enough about Geidai’s system to know if that applies in your case. First of all thank you so much for the great help you provide to us, this site clarify a lot of things to me ! I discovered the website just a few days ago, and thanks to god I started over two moths, but I still have some confusion about this format. Thank you very much for all your very informed guideline. Could you please tell me whether the research plan is same as research proposal? sorry! part 2 of my comment! I just thought about it. My major is in Information Technology with an emphasis in digital forensics. I know that Japan does not have a digital forensics field or major. (They need it though. Everyone needs a digital forensic analyst!! *^*) However, a few universities have information security as a field/major. So I have selected those universities. However…they are all in the Top picked universities. I am trying to appeal to a professor that has a strong interest in Information Security especially Cryptography. I don’t have any experience with cryptography but I do have a few books that talks about it. I am trying to figure out how to go about my field of study XDD I am stuck on that documentation. Any suggestions? You are supposed to submit your thesis abstract if you have one, not the whole thesis. If you haven’t even gotten that far (or you are in a non-thesis degree path), then you should be able to just explain that you haven’t written a thesis. At the graduate school level, you generally aren’t going to see majors that specific in Japan. Digital forensics would fall under “information science and engineering” in most systems I am familiar with. Even “information security” is too specific for a grad school major. Those can be your research focuses, though. Unfortunately, I don’t have any experience in cryptography or resources for that field. I am applying for non-degree research student, embassy recommendation. I intend to fill the Field of study by the open problems I want to tackle as a continuation of my current research. But as I will not be in a program, what is the schedule plan I need to respect ? I am from Egypt and I want to apply for Mext scholarship and I kind of lost here and its deadline is so soon can you help me, please? If you’re lost in general, I’m afraid all I can do is suggest that you read through the collection of articles (and now FAQs) that I have written about the MEXT scholarship in the past. Perhaps the best place to start would be the article on How to Get Started with the Embassy-Recommended MEXT Scholarship. i have not yet done any research publications before , iam in a dialamma in several topics and i cant able to judge the best topic. i some times feeling that if iam not able to do research on selected topic after going japan, they might through me out, thus i some how feared too. pls reply me. First of all, sorry for my english (greetings from Brazil!). But only to say that your blog are really interesting! First time, I’m applying for MEXT program, I had many doubts about filling the form, your advices and tricks are helping me a lot. As you can see, I spoke a little bit English and Japanese too. I filled the form in japanese because i’m more confident. But only my research plan are all in english because I have some troubles to translate technical and academic therms in japanese. This could be confuse for MEXT reviewers? Maybe is it better I standarize only in japanese or english, what do you think about it? What language is the program that you are applying for taught in? My recommendation would be to stick with that language for both documents, particularly if you were applying for the University-recommended scholarship, but I don’t think it’s a critical issue. I would certainly recommend that you write your Field of Study and Research Program Plan in the language that your program is taught in, though, to show the reviewers (especially at the university level) that you have the language ability necessary at least to start your research. Hello Travis, I am currently filling out the application form for Embassy recommended MEXT scholarship. What troubling me the most is the abstract thesis part where I have to submit the thesis I had done during my university years. But in my country, undergrad students don’t need to do thesis, so must I submit a thesis? Or can I skip this part? I would recommend submitting an abstract of a class term paper or other major paper (or project, if you’re from a field that doesn’t do papers), preferably something related to the field you want to study in Japan. I am using the Embassy-Mext application form 2018. How should I tackle the “Present field of study” section and the ” study program in Japan” on the field of study and study program form. I saw this question over on another post and answered it there first. Hello Travis! Thank you for your helpful guide regarding MEXT Scholarship. I’m glad I stumbled upon your site here! 1. What is the difference between “Field of Specialization Studied in The Past” in Application form and “Present Field of Study” in the Field of Study and Study Program form? 2. Is the “Your Research Topic in Japan” in the Field of Study and Study Program from should be filled with exact time table of our soon to be 2 years research? Or is it okay if it’s written in drafts/points like your example above? (Literature review, Thesis development and review, Experiment design, Experimentation, Analysis of results, Writing, editing, and defense) Will the latter risk my application? How to fill in this best? 3. And so, I assume that under “Study Program in Japan” I write my research proposal? Or I wonder if I get it wrong between 2-3? I’m quite confused. I wrote this article about the Field of Study form for the University-recommended MEXT, which is slightly different. It only has two questions, so the numbering is different as well. In the application form, they are looking for your faculty and department or major from your last degree. For example, if you graduated from the College of Science and Engineering, Department of Robotics, with a Major in Artificial Intelligence, that’s what you’d write in the Application Form. In the Field of Study form’s “Present Field of Study” (*Question exists in the Embassy version of the form, only), you would go into more detail. If you wrote a graduation thesis or completed a graduation project, you would write the details of your research question or project hypothesis. Using the previous example, you would include all of the same information and then go into detail on your specific project, such as “Testing AI decision algorithms based on simultaneous biological sensing and heat sensor input for use in fire rescue.” (I have no idea if that’s a thing, but you get the idea, I hope). 2. Your research topic in Japan should be a description of the academic problem you want to tackle, not your detailed plan. You can also include the background of your research/interest in the topic here. This is the academic part of your research proposal. 3. In the study program in Japan, you would write the purpose, the steps you plan to go through, what kind of research you will do and why, what you expect that research to reveal, and what you plan to do with your results. Plus sources, if relevant. This is the practical part of your research proposal. I hope that helps. I think I will have to schedule this article for an overhaul in the future to make it a bit more clear. Thank you very much for your kind reply 🙂 Wish me luck! I’m working on my placement preference form and one of the university research program I’m hoping to apply for has its program under a different field of study from my other choices. Will it be okay if I list two fields of study on this form? My background is in Fine Arts and I will like to research about the censorship issues on comic. Two of my picks are art schools, but the third school is not and it has their research program under Global Japanese Studies. The professors in this school are professionals in the censorship issues with comic and pop culture and their program is definitely something that I will like to include on my list of preference. I would recommend that you stick to one field of study. Putting multiple will make you look undecided or disorganized, plus there really isn’t enough space to talk about two. I recommend that you write your field of study and research program plan targeting your first choice school, but add in enough language that the others would find it relevant. As long as you can pursue the same or a similar field of research at any of your choices, that should work. The application is to get a university recommendation for MEXT, however I am worried that I am missing documents? It sounds like the university is using its own application forms for the first screening and will only ask successful applicants to complete and submit the MEXT-designated forms. It’s not a matter of missing documents, they’re just using an alternative for now. The contents should be pretty similar, though. Thank you for the awesome informative posts! I have been selected as a student to be recommended to MEXT with PGP scheme (master’s program). However , I guess I was making a mistake since I wrote the FSRPP document in Japanese. The program I am intended is supposedly to be carried out in English but there are some lectures conducted in Japanese as well. I intend to major cultural field. As I graduated from Japanese literature department (bachelor program), I was confused about the language I should use. There was a note in the guideline the university sent me that the applicant is required to have a sufficient Japanese language skill to be enrolled in cultural field. Then at the time I read the form for the first time, there was a notification to write in Japanese if the applicant has Japanese ability, so I did it. At this rate, I am worry about the acceptance possibility toward this program. Could it be possible for me to get the scholarship although I wrote the document in Japanese meanwhile the others were in English? If you were already selected by the university, then you shouldn’t have any problem with the mixed languages at this point. That recommendation was really more for the university’s screening rather than MEXT. When I worked at the university reviewing these documents, our faculty members wanted to see the FSRPP written in the program’s language so they could get an idea of your academic writing ability in that language. But if students submitted them in the “wrong” language, we wouldn’t reject them, we would just ask the students to rewrite them. For the PGP programs, if you are recommended by the university, my understanding is that you are considered to be provisionally accepted, since there is a guaranteed number of spaces. MEXT is only going to be checking to make sure that you meet all the eligibility requirements and that the university has done its job right. It is not a competitive evaluation any longer at this point. Thank you for your brief and helpful information. I have another question remains, I had just realized that I made a slight mistype (typo) on the thesis summary. Something switched with the research I intend to do in the future. It was only one sentence. I attached two types of summary (the thesis summary and the brief thesis summary). So far I heard nothing from the university. I don’t know whether they notice it or no. Would it be possible if that recklessness I made affect to the selection result? Would that be considered as false statement? If you applied for the University-recommended MEXT scholarship for 2017, you should have heard back from them already, one way or another. I’d recommend contacting them again to be sure. I don’t think a single typo alone would be enough to damage your chances for the scholarship, particularly in the thesis summary. That is only a reference document, at best, so they can see what kind of research you’ve done in the past. It’s not critical to the selection process the way the Field of Study and Research Program Plan is. I was trying to send you another comment but it seems that you didn’t receive it yet, so I will ask again, have you experienced in handling any application document with a slight mistyped sentence? Would that be rejected? Since I posted a few new articles in the last month, I’ve been getting more comments each day than I can possibly answer. I’m at least a week behind at the moment. Please be patient. No, I don’t think a typo would ruin your application by itself. (Unless it completely changed the meaning and made your application inappropriate, like accidentally typing “engineering” instead of “economics”). Hi travis! Thanks for all information posted here. I´m planning to apply this year for the Master degree in order to start it next year. I have to say i got the Japanese Studies Students MEXT scholarship before by Embassy Recomendation. Do you think i will have an advantage over the other applicants because i was a recipient 2 years ago? Im trying to keep in mind that this is a world competition, so i dont want to have upper expectations about myself even I gradutated with honors from the university writting a thesis. About the GPA dont know exactly how much i have since the scale here is from 0 to 10, but my general GPA in that scale is 9.3/10 . Do you consider is enough to get possitive points to get the scholarship? I don’t think receiving the MEXT Japanese Studies scholarship in the past will be a factor one way or another in your application unless you did your Japanese studies at the same university where you are applying for your Master’s degree. In that case, they might remember you or talk to a faculty member who remembers you. Hopefully, that’s a good thing for you! The GPA conversion is on a class-by-class basis, not just a conversion of your overall GPA, but if you’re average is that high, I assume you earned the equivalent of an A or B in almost all of your classes. That should put you close to a 3.0 on the MEXT scale, which is where you want to be. It’s not so much a matter of positive points, but that’s where the top competition is, so you’re in good shape. Everything else comes down to your Field of Study and Research Program Plan. Thank you for providing us such a helpful and informative place, and you know, there’s little guide information about MEXT application available online. So thank you so much. I just have a question. I have applied MEXT scholarship for a PhD program through university track and have been selected as MEXT Scholarship Nominees for 2017. But I worry about my GPA is not very good, even I don’t know whether it was greater than the required minimum GPA (2.3/3). In this case, I am afraid if MEXT will accept me, and you know, the final result will be updated mid-July. It is the university, not MEXT that checks your GPA, so you’ve already passed that hurdle and have nothing to worry about :). The university is required to convert your GPA and report it to MEXT on the nomination form. The university does not send your transcript to MEXT unless MEXT specifically asks to see it (which rarely, if ever, happens). Since you mentioned July, it sounds like you were recommended under a PHP program. Those programs have a fixed number of slots each year that they can accept and the university would not nominate more than they are allowed. So, I would say that you have nothing to worry about, at all. You help me up a lot. This is to kindly ask how probable I am in the university recommendation. my professor has told me I have passed the first screening with another PhD candidate ( he told me I ranked next to him) and waiting for MEXT approval but I am afraid if MEXT will only approves one candidate. Each university has a designated number of MEXT scholarship applicants that they can recommend, and they know what that number is. So if they sent your application forward to MEXT, you should be within that number and safe! 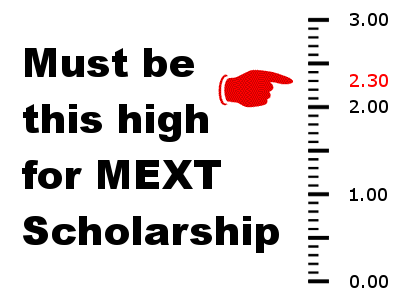 In general, all students recommended to MEXT should receive the scholarship, unless MEXT discovers some error in your application that would make you ineligible (although I have never heard of this happening). The number of students that universities could recommend actually went up this year. So, long story short, I would think that you have a very good chance of getting the scholarship in the end. Please let me know hos it goes! I have applied MEXT scholarshipfor a master program through university track and have been provisionally nominated by such university. Now, I have to complete the MEXT application form and the Field of Study and Study program form. 1. Should I keep all contents of current thesis proposal or it is better to shorten it and cut-off some items? 2. Is it really necessary to show that the research must be done at a Japan university? My problem is that the topic is about developing a system in my home country (and it has not been deployed in Japan either) and the only reason I have is that lectures at such university may have more intensive knowledge on such issue. It sounds like your university does things a little differently, from what I’m used to. Usually, applicants have to fill the MEXT application form and Field of Study and Research Program Plan before they apply to the university. In that case, the FSRPP is one of the most important documents for acceptance by the university, and my recommendations above were based on that assumption. If you have already been accepted by the university, then it’s not so important to follow them as strictly. In general, the MEXT evaluation is not competitive, it is just to make sure that everything is in order. 1. I don’t think you need to make any significant changes. If you can, break up your 1000-word proposal so that it meets the two questions in the FSRPP. This might require some reformatting and maybe additional content if your proposal doesn’t match the questions exactly. If your answers go long, you can trim them or just add extra sheets. It’s not that strict of an issue at this point. 2. Saying that the lectures at the university you applied to have more intensive knowledge, research, or practical experience in your field is perfectly sufficient. In that case, you’re not saying why your research must be done in Japan, but rather why it must be done at that particular university (which happens to be in Japan). That sounds even better! 1. Where I can find the list of professor? Or is it possible to write field of study and study plan without professor’s acceptance? 2. Where can I find the example of research proposal and research plan? 3. How do you think is it possible to write these two in two days? Because I found out about the program too late. Also, it takes about 6 days for EMS. I’m glad you have found this site useful so far! I’ll try to answer your questions below. 1. You’d have to check each university’s website. In general, yes, you would write the Field of Study and Research Program Plan without a professor’s approval then approach them with your plan to apply for acceptance. Don’t expect the professor to help you write it (some might, but that’s the luck exception). 2. I don’t have any samples, personally, but last I checked there was one on the site linked under “Tips for Writing Your Study Plan.” That’s not my site, but I’ve heard a lot of people say good things about it. As for what to write where, I don’t think I can break it down much clearer than the article above (although I realized there were some formatting problems with the article that made it tough to read. That should be fixed now). 3. I think that writing it in two days is possible if you’re willing to use all of your time to focus on it and you have access to a university library and perhaps a faculty member who can help you. I wouldn’t recommend it, but it sounds like you don’t have a choice. 4. Yes, but that would be for the next year. Thanks for everything in this website. Currently, I am still preparing my documents for IGP A 2017. I have asked my sensei about my research plan if there is any advice from him and he said it is okay for now and will need to be detailed if I am accepted in there. However, after I read this page and consulted with my friend who is accepted in a Japanese univ with MEXT, I little bit lose my confidence since I think my proposal needs improvement. So, I ask my sensei again by email. I told him about my thought and gave my ideas to improve my proposal. I also look for his advice and ideas but he didn’t reply my email (it has been 5 days). He usually replied my previous emails in one day. Did I make a mistake? I don’t intend to repeat the question. I just want to make sure my application goes well. Or should I wait for his reply? I know professors in Japan are busy. Thank you very much. Sorry if my English doesnt look good. Asking a prospective to review your proposal and make comments requires a significant amount of time from them. Even in the best case scenario, I would expect the professor to take a while to get back to you. Reviewing research proposals is not something professors are required to do and some might consider it unfair to other applicants. Unfortunately, rather than tell you that directly, the professor may just decide to ignore your email. In general, I wouldn’t recommend asking a prospective advisor to review or help make improvements to a research proposal unless he or she specifically offered to do so. If you want to seek advice on your proposal, I would recommend talking to a professor at your current or former university who could help you. In your case, I don’t think you made a mistake, but I would not recommend pushing the professor for a reply, given my limited knowledge of your situation. Maybe he will reply later, or maybe not. I don’t think you have hurt your chances by asking. Your website and your posts have been a great help.I have been here before,but now that I am seriously considering to apply for mext,needed to get answers for some queries.First of all, if I want to apply for the university recommendation,do you have any idea of what length the research proposal should be? Should I follow the same format applied for ’embassy recommendation process’,that is the two page format, which you mentioned about here? I am also curious,while writing this research proposal,should we regard it in the same manner as a publication,as there are the same procedure to follow ,i.e, title/theme/objective/methodology etc.Moreover, as my background is in Architecture,I am mostly interested in design based works,so research is not specially what I want to focus on.In that case,should I voice my opinion down there,or ‘the so called research’ idea needs to be carried on? Don’t know if it clarifies my concern, but as someone who want to work more as a professional person not a theoretician,or researcher,I wonder if they take the research proposal literally for what’s mentioned in the text,or if this is just a tool for them to check the quality of the student’s merits. 2.Apart from that, do the applicants need to have GRE score as well on top of IELTS? Does GRE increase the rate of acceptance or only IELTS will do too? Thanks a ton in advance. This form is required regardless of your field and should relate to something you will actually do during your studies. It is not just to check your merits. Look up the program that you want to apply to on the university website and see what the graduation requirements are. If you have to write a thesis to graduate, then this form should be about your eventual thesis topic. If you have a practical project instead, you’ll still be trying to accomplish something new, so write out how you will go about that. I don’t know much about architecture, but for example, if you wanted to develop flood-resistant housing, then you would write the research page based on what you know and want to explore on that topic, then write your timeline on the second page. MEXT does not require GRE scores, but your university might. It’s different for every university, so check their homepage for details. first of all thank you so much for this information, your website has been a great help!! I’m going to apply to the MEXT scholarship this month and I’ve a question regarding this form. In my research plan I made a timetable and I included only the 2 years as a research student, even though I want to continue it as a master’s student, including the period of 6-months of studying Japanase. Would it be okay like this? I’m glad you’ve found the site helpful! If you want to continue on to a Master’s Program, I don’t know why you would stay for 2 years as a Research Student. Most students move into the degree program as soon as possible, if that’s their ultimate goal. I would ignore the 6-month Japanese study period, but write a two year research plan for what you will do as a Master’s student. If your advisor things that you can’t accomplish it in two years, then you should consider going as a research student first for a semester or two. But if you can go straight to the degree program, I don’t see any reason not to! Good morning! I find your website very informative. I have one question. I intend to apply as a research program leading to a PhD degree. In the detailed study program, do I need to make a detailed plan for the total 5 years (2years as research and 3 years for phd) in my application? Just a heads-up, I don’t think I’ve ever heard of anyone taking the full two research years plus three PhD years. Typically, if you’re targeting a PhD program, you would apply directly for that and maybe spend one semester as a research student if you arrived in Japan in the wrong semester to start your degree. Maybe someone else has other information, but I never saw someone stay as a research student for more than one semester. I would personally recommend that you apply for the PhD program and emphasize the research and timeline you plan to accomplish for that. If the university places you as a research student for a semester first, you can adjust later. If you are going for a full 2-year research student position followed by a 3-year PhD, then those would be two different things. You would probably apply now with a research plan for what you plan to accomplish as a research student (if you’re staying that long, it should be a full cycle of research, complete with results, I would imagine), then you would plan your PhD research when you apply to extend your scholarship to a PhD. I should salute you for the wonderful job you are doing. I was puzzled as to how I should apply for the MEXT scholarship but reading this blog has really helped me. I was not taking the ‘Field of study and study program’ form so seriously and surely, I was about to make a big mistake. Thank you for the clarifications and this blog is a ‘life saver’. By the way, I am applying for a masters program through the embassy. I’m glad to hear that it helped and I wish you good luck on your application! Thank you very much for all of these extremely informative blogs you have written. It’s a hugely confusing process and I can’t tell you how much I appreciate your guidance. I have a few questions about the Embassy-recommended scholarship. 1 – You mention in this post that Embassy-recommended scholars have to write about their current field of research. I graduated university a few years ago and am not involved in any formal research (apart from what I’ve been doing to prepare for this scholarship.) How would you recommend I go about completing this section? 2 – I have never taken any JLPT exams, but am aiming to take the N1 this year in December. My goal would be to study in Japanese. (I speak it every day at home and at work, where I’m employed by a Japanese newspaper). Realistically, do you think I would need JLPT proof of my language ability to apply for a Japanese program, or would it be best to apply for an English program? Should I write the application in Japanese or English? Thank you in advance for any advice you can share! For the research topic, do you think it would be beneficial to provide citations as in a formal research plan or study? If so, I expect I would need to add an additional page for the references sheet. I understand for the most part it is better to keep the answers limited to the space provided, but do you think this would help show the work done so far in placing my proposed research within the scope of what has already been done? I’m glad you’ve found the blog to be helpful! 1- You should write about what you researched (or majored in) during your last degree. 2- You might want to contact the university directly about the Japanese/English language question. Many universities are going to be strict about having the exact requirement, meaning the test score. But they might accept a letter from your employer describing your Japanese ability, while awaiting the test score, as well. If they won’t accept either of those, then you could apply for the English language program and then talk to your advisor after admission about the possibility of taking some of your courses in Japanese. How flexible they are willing to be is going to vary from university to university. If you can contact or network with your desired professor in advance, that personal relationship should help your case, as well! Please correct me if I’m wrong. I am supposed to contact a professor from my preferred university, and write his name along with the university on the application form. Until I am asked to by the scholarship committee, I won’t be asking the professor and university for an acceptance letter. Is that right? This is based on the MEXT 2017 guidelines. Btw, I am going for a master’s degree and applying through the embassy. Also, while contacting the professors, should I elaborate in detail my study plan? It’s probably not a breakthrough idea but I kind of want to keep the meththodology specifics to myself until I pass any of the screenings. Topics are hard to come by. For the scholarship application process (embassy-recommendation), you do not need to contact the professor until after you pass the primary screening. Technically, you should not be asked to turn in the placement preference form until after the Primary Screening and after you apply for LoAs, but some embassies do this differently. In case your embassy is asking you to give a list of professors before passing the primary screening, then it would be a good idea to contact them first and discuss your research to see whether they would be able to supervise it or not. You do not need to talk about scholarship applications at all at that point. You don’t need to be too specific in your initial contact to the professors, but as the conversation progresses, you should probably plan to share more details about your plans. Of course, I don’t know you or your research field, but the chances of a Master’s level student coming up with a research idea and methodology that a professor in the same field had never thought of before is not very high. (During my master’s degree, I never would have arrived at my final topic without several discussions and planning sessions with my professors). As we say in the writing/entrepreneurship world – ideas are a infinite and valueless, only execution matters. Many other people have probably had the same idea but simply haven’t taken action yet. Hi, I add the same issue my embassy 2016 Mext Application. My Embassy said I could leave it blank, as some Professors only accept correspondence after primary screening like Waseda and Kyushu however if you start talking to Professors a couple months ahead about your planned research topic or the studies they do at that university I found them quite helpful and willing to assist. Thank you for your input, as well! I wish the embassies would adopt a consistent approach to the Placement Preference Form, but for that to happen, MEXT would have to make its instructions clear, and it isn’t very good at that. I’m glad to hear that you found the professors helpful in advance. I would add that where I worked, it varied from professor to professor. Some would be happy to talk to applicants in advance. Others (particularly those who found communicating in English to be bothersome) would refuse to reply to anything accept official LoA applications to the university after the Primary Screening. In my opinion, it’s always worth reaching out to try to communicate in advance (though you don’t need to mention the MEXT scholarship at the time). The worst that can happen is that you don’t get a reply, and that doesn’t hurt you. Please clarify for me what the want when the say field of study, what should I include on that? The post above includes a pretty detailed explanation of what “field of study” means as well as what to put. Please read it again and, if you’re still having trouble, make your question more specific so I can figure out what you’re struggling with. i have the field of study, but i can not write the research topic and research program for the Ph.D. i mean i don’t have idea or how to conduct the research, the specific orrientation the re research will take. If you don’t have a clear idea of what you want to research and how you will approach it, why are you applying for a PhD? The idea behind a PhD is to pursue your own research topic, so if you don’t have a specific idea of what problem you want to spend the next 3 years researching, then you might want to consider another route besides PhD studies at this point. If you just need help focusing your studies, I’d recommend talking to your Master’s advisor for advice. Hello, thank you for your advise it really helped me to understand how the procedure goes!! But i have some questions to ask you. I am a 4th year medical student currently. And i am planning and start it early to do some research work in field of medicine in Japan even-tough i still have 2 more years to go. 1. Is it okay to give my materials to Ph.D in a 6th year of my bachelor degree ? 3.How to contact and say and find my target professor from Japanese university? I’m glad the explanation was helpful! 1) Yes, you can apply during the last year of your previous degree and you can go straight from a 6-year medical degree to a PhD, as long as your chosen university has an appropriate program. 2) No, that won’t be a problem. Most applicants have no working experience and come straight out of their previous degree. 3) I’d start by asking around at your current university to see if anyone on the faculty has connections with professors in Japan and reach out through them. You can also look for publications in your field with Japanese authors and research where they teach, if they’re affiliated with universities. If all else fails, just go through university websites one-by-one to find an appropriate professor. very helpful article you’ve written here. I’m applying for the MEXT Scholarship through embassy recommendation but, most of your articles seem to be directed at the university recommendation application process. I’d like to know what they look for on the present field of study component. I studied electronics engineering in school but, I’ve been doing independent research in artificial intelligence and I’ve written two papers which I’ll be posting on ArXiv.org. Any idea how best I can incorporate as well. One more thing I’d like to find out is if this information here also applies to the placement preference form where in section 5 they ask for field of study and detailed field of study? The “Present Field of Study” in the Embassy version of the Field of Study and Study Program is asking for your academic major during your last degree. You should be sure to answer that question by mentioning what you studied, but you can also add that you have since refined your studies into artificial intelligence in a professional capacity (especially if you’re working in research now). There is a place to list publications in the application form, so that would be the best place to mention your articles. The “Field of Study in Japan” and “Detailed Field of Study” in the Placement Preference Form refer to what you want to study in Japan. I would recommend that your “field of study” entry in that form match the name of a department or major at your first-choice university (e.g. “Robotics – Artificial Intelligence” if they had a Robotics major). The detailed field of study would be a one-sentence statement of your particular research problem. I stumbled upon your blog while looking for info about the MEXT scholarship and I had to say, this blog is SUPER informative. It really helped me a lot here! I would like to offer my heartfelt thanks and gratitude to you for this wonderful blog. I just have a question here. I remember seeing someone posting a similar question but you haven’t reply him / her. So I am posting it here, hoping you would notice and give me some feedback. I am currently applying for MEXT via Embassy Recommendation. I wanted to know how strict is MEXT with our research plan. If we get the scholarship, do we have to follow what our research plan dictates during our application? For example, my research plan is about genetic studies of Hepatitis C virus. However, if I am accepted into a university with a researcher who have expertise in Hepatitis C virus, but he / she wants to change my research plan to something else – say vaccine development for Hepatitis C virus – would that be plausible? Or will it be against the rules set by MEXT? I have a potential supervisor who is open to me joining him. I visited his lab when I was visiting Japan, and I think the lab is pretty established. So my research plan which I used to apply for the scholarship is actually based on what I have learnt from his lab. My only worry is that he is an associate professor on contractual basis, so I am kind of worried what will happen if the university decides not to continue his tenure. He is up of review in Jan 2018 if I am not mistaken. 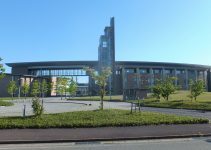 By the way, the university is a national university in Kyushu. So I am planning to look for potential supervisor at other university as well – but that would mean I will have to come up with a different research plan as my field of study is rather specific and researchers who have experience in them are rather limited. I did find two whom I am interested to work with, and they have knowledge about the subject matter of my research (hepatitis C virus), but not specific to my interest (genetic studies). So I was wondering if I can put them as potential supervisors as well using my research plan – most likely in the end if I am accepted by them, I will have to change my research plan. These two are working in more established research centers and are professors, so my worries are much lessen. I plan is to put SV3 as a backup in case SV1 & 2 don’t accept me, as SV3 has said he is open to accepting me as long as I get the scholarship. Is such a plan plausible? Hope to hear some feedback from you soon! Thank you very much! If you try to change to another graduate school or division, or if you change your research topic partway through and won’t be able to complete your degree on schedule, then MEXT will get involved. If your potential supervisor has a “pretty established” lab and he is in charge of it, there is a good chance the university won’t discard him so easily. It’s completely up to you as to how you order your desired supervisors, of course, but if it was me, I would put the one closest to my research topic first – especially if I had a connection with him already. You said “Write in the language of the program you are applying for”. At the same I am about to apply both for English-based program and Japanese-based prorgam in different universities. So should I prepare my plan for embassy both in English and Japanese as well? I can’t say for sure whether the Embassy will accept both languages at the same time, but you could certainly try. If you go that route and they only accept one version, then I would recommend submitting the one in the language of your first-choice program. In the end, the “write in the language of the program you will apply for” guideline is probably going to be less strict for the Embassy-recommended scholarship than for the university-recommended one, so you should be OK.
I`ve been accepted for a MA program at Keio after passing the screen tests, exams and submitting photos,transcripts etc. set by the university and will receive a letter of admission but i wasn`t selected for nomination through university’a bit of confuse on my part’. Though due to the start dates of the MEXT 2017 i will ask to defer my entrance into the program to next year. In short can I submit my letter of admission instead of a letter of acceptance ? and which is better to submit. A Letter of Acceptance is a specific requirement for the Embassy-Recommended MEXT scholarship. A Letter of Admission, in your case, is permission to enroll in the university. You cannot substitute one for the other. The eligibility criteria for the Embassy-recommended scholarship specifically says that you are not eligible for the scholarship if at the time of your application you are already admitted to a Japanese university. Therefore, you would have to refuse (not defer) the Keio acceptance and reapply through the MEXT scholarship next year. It’s a bit of a gamble, since you’ll have to pass the Embassy’s primary screening. But, if you can’t afford to enroll in Keio as a self-funded student as a backup plan, then you don’t have much to lose. 1) one of forms H.27 PLACEMENT PREFERENCE FORM FOR JAPANESE says you should state if you have received admission to the university. Would telling the embassy I was previously accepted into the university but declined the offer as I wasn’t able receive a scholarship be a disadvantage? It won’t help you at all, so I wouldn’t mention it to the Embassy. For the Placement Preference Form Entry, you have to get a Letter of Acceptance for that particular year after you pass the Embassy’s primary screening. If you can’t get a letter of acceptance this year, then being accepted in the past is not relevant. But don’t worry, since you’ve earned acceptance in the past, it should be very easy for you to get a Letter of Acceptance when you do apply for the Embassy-recommended scholarship. Just be sure to keep in touch with the university in the mean time! thank you so much for the advice and inspiration, I hope if successful with my application I can create a small blog to share my experience of the MEXT application. As you said it in the previous post, the relationship between universities is important; And since my university (The president) signed a General Cooperation Agreement with a Japanese university (which also will run for the next 4 years) and this University can recommend 3 Research Students for the MEXT scholarship. 1. How do I use this arrangement? How I can included in the scholarship application that both universities are cooperating? 2. How much weight have that agreement in my favor? 3. Being only 3 slots, are they still higher my chances applying for a PGP even if the university that offer the PGP does not have an agreement with my University? In this case I have more chances applying through ” University Recommendation” with the university that have the agreement even with less available slots? Travis have a nice day. 1. To use the arrangement in your favor, you need to get in touch with the professor who started the partnership between your schools and see if that professor can put you in touch with someone at the university in Japan that you can talk to about your research plan and your intention to apply (preferably someone in the same graduate school as where you want to apply!). As you probably saw in the list of related articles, I plan to write an article about how to network successfully, but at this point in the application timeline, it’s probably too late to start networking, so I’m focusing on the articles that will help people now. 2. The agreement isn’t much weight in your favor by itself. It’s all about the relationships and how you use them. Chances are good that the Japanese university has relationships with hundreds of universities overseas. 3. If there is a PGP that you are eligible for, then your chances for the PGP are almost certainly higher. The PGP has a certain number of slots for that particular field of study. If you’re going for a general recommendation, you’re going to be competing with everyone else that applies to that university for those three slots. A lot of the PGP programs have limited eligibility and they don’t always publish all of the requirements, in my experience.. If you meet the requirements, you’ve got a great chance of getting the scholarship. But if not, you’ll end up competing for a general category scholarship like everyone else. PS, Sorry, but I do not do individual consultations. I prefer to answer questions here in the comments where they can help multiple people! Thank you so much Travisさん. Yes, I´m waiting for the next articles, because I have a lot of doubts and when I ask for, they just do not answer me about it, I don’t know why. For example, they never tell me if the method of calculation of GPA for a PGP is the same that under embassy or university recommendation, or if they apply the same rule of ”Applicants who have a 2.3 GPA over the past two years of studies” or is the same GPA that they need. because how I see they in the Application Guidelines for the university they need the whole academic history.I hope that you know more about it, or just you can tell me. The PGP is just a sub-category of the university-recommendation, not a different thing, if that helps. The 2.3/3 GPA requirement is a MEXT requirement. In most cases, universities will not list that as a requirement in their application guidelines, and if they don’t list it, I would not expect them to answer questions about it. The university probably is going to look at your whole academic history when they consider whether or not to accept you and recommend you for the scholarship. MEXT requires that universities calculate your GPA for the last 2 years of study when they submit the recommendation, but they let universities decide everything else. Also, how much do they expect from a master’s applicant, considering he/she has never written a research proposal before? Because in my country we aren’t expected to write a research proposal for completing the bachelor’s course. It’s not a matter of meeting a certain standard- you have to beat out all of the other applicants. You might be competing against other applicants who have written research proposals in the past. And even though you’re a Master’s applicant, you could be competing against PhD applicants, too. If the graduate school has only one scholarship to award, then they have to choose whether it will go to a Master’s or a PhD applicant. I highly recommend that if you haven’t written a research proposal before, you find a mentor who has! Maybe someone who has earned a grant or an academic fellowship in the past, if you can. Hey Travis! Thanks for another helpful guide!! I knew that the research proposal was important but this post kind of scared me now xD I was planning on submitting the research proposal I wrote for the embassy selection, but now I am thinking of changing it! Thanks a lot! I honestly don’t know which application system is more competitive, though I’d love to figure that out. Since I worked at a university, I only saw Embassy-recommended applications from students who had already passed the Primary Screening. Once they’re passed that screening, it’s all-but certain that they’ll get the scholarship. But I have no idea how many people get cut in the primary screening. I imagine it depends on your country. The University-recommended application is very competitive. Usually one or maybe two applicants per graduate school per university get the scholarship (unless it’s a PGP program). Good luck with revising your Field of Study! Just mailed my application to my University ? Hoping for the best now. I also found a really nice Professor who accepted me as his student! (I just got my GRE score , its very bad so I’m not that hopeful but happy that I found a Professor! 😀 ) Thanks a lot for these posts! Really helped a lot! 🙂 I am really interested in the PGP section! Looking forward to other posts! ありがとうございます! Hello Travis! i have completed my master in economics. So can i apply for MEXT scholarship in any economics field? What is criteria for that.? Yes, but if you’re moving from a Master’s to a PhD, then you would probably want to keep your research themes fairly similar, or at least be able to show how one grew into the other.